This paper had reported on December 4 that between 2016 and 2018, a whopping 142 ‘rail rokos’ were organised, as per statistics from East Coast Railway (ECoR). 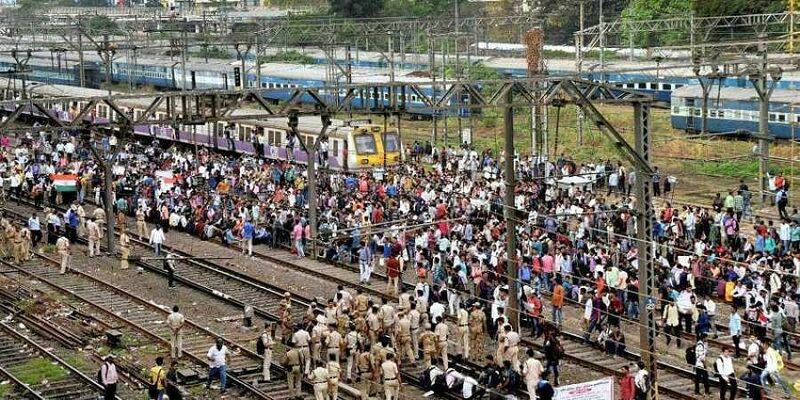 Odisha Police on Wednesday said coordinated measures will be taken by the Government Railway Police (GRP), Railway Protection Force (RPF) and Railway authorities during bandhs and officials were instructed to take preventive steps for controlling the situation well in advance. This paper had reported on December 4 that between 2016 and 2018, a whopping 142 ‘rail rokos’ were organised, as per statistics from East Coast Railway (ECoR). In the three years, 120 rail blockades were staged either by political parties or other outfits. Police informed that as per a notification of the Home Department, territorial jurisdiction of GRP districts, Cuttack and Rourkela, have been re-organised and both would send the proposals for changing the area of jurisdiction of different GRPs. “It was decided to lay new railway lines like Talcher-Sambalpur, Rayagada- Koraput, Khurda-Nayagarh, and others under the jurisdiction of GRP and a proposal will be sent to the Government,” ADG Railways Pranabindu Acharya said. At the 4th meeting of State-level Security Committee for Railways, which was chaired by DGP Dr RP Sharma on Wednesday, discussions were held on safety and security of railway passengers and property and create a WhatsApp group of GRP and RPF officials with GRP SPs of Cuttack and Rourkela as administrators for intelligence sharing. It was also decided to deploy guards in night trains, CCTV cameras and baggage scanners in all railway stations will be installed soon, and a baggage scanner will be installed at Rourkela railway station within a week.